Whitening options at Sugar Fix! 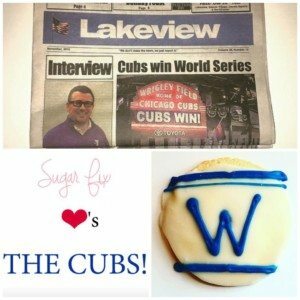 We are so happy that our Cubbies won the World Series this past Wednesday! What amazing game and victory!! GO CUBS! Here at Sugar Fix, we were busy this week with our Cerec restorations and making 12 onlay restorations for our patients! These little puzzle piece gems fit flawlessly and look amazing! We were really excited with our stunning whitening treatments this week! Zoom whitening is one of our favorite systems to use at Sugar Fix for our patients that are looking for the “one and done” whitenings. 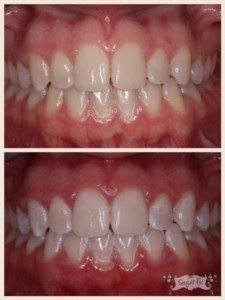 This system works by blocking off the soft tissue so the bleach does not touch it, then we apply whitening gel to the teeth. The patient then sits under a UV whitening light for 15 minutes. We repeat this process 4 times to complete the treatment. Most patients finish 3-4 sessions and the results are amazing! The question asked most about whitening is if it will be sensitive. If you are a patient prone to sensitivity and have naturally hypersensitive teeth, we always recommend using Flouridex for 1-2 weeks before treatment. We have Flouridex at our office for our patients and it is a prescription toothpaste containing Flouride. Having this with sensitivity relieving agents help tremendously with sensitivity. Before the procedure, we always give our patients Advil to help with any discomfort. During the procedure, we also have a high, medium and low setting we can adjust so that the intensity is reduced and helps with the sensitivity. With both of these options, and using Relief Gel at the end, most of our patients are very comfortable throughout the procedure and afterward. If you would like to schedule a Zoom whitening or consultation for Zoom, please give our office a call or email us. That’s it for this week! Next week we will discuss our other whitening options at Sugar Fix!